Happy Easter to everyone out there. I pray that the day is filled with family and loved ones. To all my family and friends in the offline world and the 3,000 plus readers online, I want to thank the lord that you are all in my life. I try to live my life in the way that Jesus said…IN HIM AND WITH LOVE. I love God and I believe that Jesus Christ is the son of the living God who was born of this earth, died and on the third day rose again from the dead in fulfillment of the scriptures. I believe that only thru Jesus, I am saved. In a world were our kids are using their handheld devices everyday, I take it as a blessing to take these trips and just spend face to face time with them. This year, we decided on Destin, Florida. We have family flying in from L.A. for Grandparents Day at FPD and they wanted to visit extended family in the area. People ask me if i ever do anything besides posting about my faith or how i practice my faith. Here are some pics from the trip. Have a blessed week with family and friends. UPDATED REGULARLY. Happy New Years. May God be with us everyday for the next 365 days!!! If you have an iPhone, the photos are live. Whats your favorite Christmas tree? 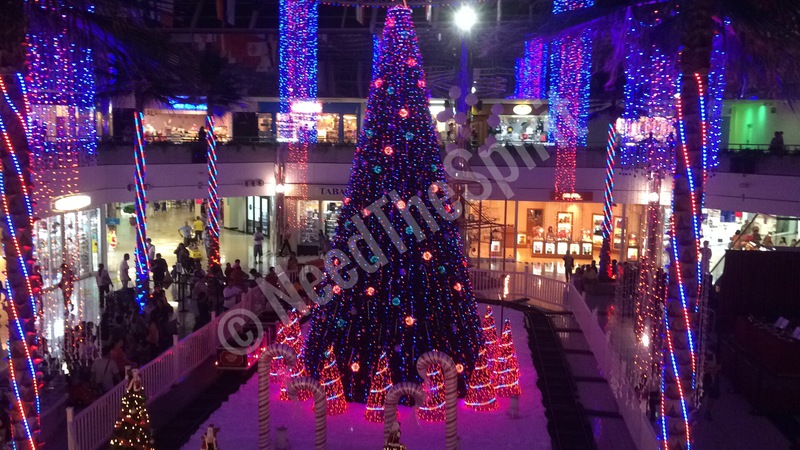 My favorite Christmas tree still is this one from the Micronesia Mall on Guam. The tree lights move to the sound of music ever 15 mins.